Every synagogue minyan (daily prayer group) has the one person who always seems to be there. In some congregations, this might be the gabbai (a ritual director of sorts). In other shuls it might be the rabbi. And in others it might be a lay person who is very dedicated and wants to ensure there is always a minyan (quorum of 10) so others can say the Mourner's Kaddish. Some minyans have a group of dedicated individuals who make it a point to always attend -- regardless of rain, sleet or snow. With the mobile application FourSquare (a cross between a friend-finder, social city-guide, and game), it is now possible to find out who attends the minyan the most. While the most active minyan attendees in many communities are older, retirees who may have never even heard of Foursquare, it would still be fun to see who "checks in" to the synagogue the most. 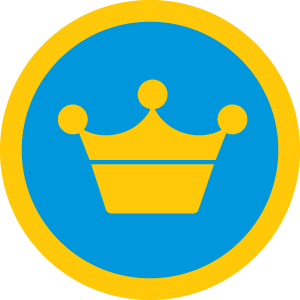 In the FourSquare world, the user with the most check ins at a venue gains the mayorship of that venue, so it would be interesting to see who becomes the "mayor" of the shul. Many local businesses offer specials (10% off at some restaurants and coffee shops, for example) for a check-in or for being the mayor of a venue. Perhaps in the future, synagogues will offer incentives for the most check ins at the morning minyan or for children at Hebrew school. I can imagine a synagogue discounting the dues of the mayor of the minyan or presenting the mayor of religious school with an award. Jewish non-profits can also utilize FourSquare to reward volunteers. The mayor of the kosher food bank for instance might be featured in the monthly newsletter. Thanks to FourSquare, in the future you might see a sign next to the rabbi's parking space in the synagogue lot that reads: "Reserved Parking for the Mayor of the Minyan."